IshtyleAwhile - A Chennai based Indian Fashion Blog - Launch of Anuswara- Craftsvilla's in house brand. 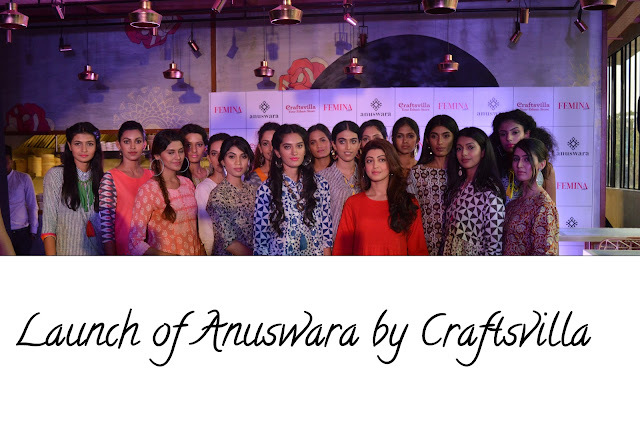 The launch of Anuswara, Craftsvilla's 3rd in-house brand, took place in Bangalore last week and we bloggers got front row seats to see the latest collection. 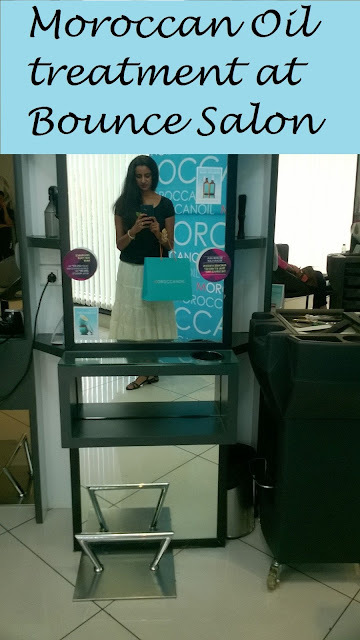 Femina India, along with Craftsvilla put together a fashion show to for us bloggers to see the range in action. There are 4 different collections- Ikat Illustrations, Kalamkari Tales, Summer Hues, and Indigo Impressions. 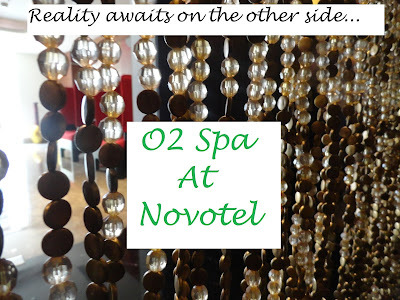 Each collection is inspired by a different handicraft which is native to India. For those who love prints, Ikat Illustrations and Kalamkari Tales is definitely what you need to be looking at. Kalamkari, is a form of artwork where a particular dye is used, and the designs are generally handdrawn onto the fabric. Kalamkari Tales is inspired by this and the line consists of crop tops which can be elegantly paired with Khadi saris and long skirts. You will notice that there are a lot of three fourth sleeve patterns and I think this is better than sleeveless as it reduces chances of sunburn and tanning. Summer Hues includes kurtas in a solid colour with some embroidery or trimmings to add that subtle elegance. The colours include mustards, peaches, and teals, all perfect to keep you cool in this raging heat. Indigo Impressions is inspired from the art of dying with Indigo. One thing to be noted is that fabrics dyed with Indigo must always been kept separately and away from other fabrics so that the dye does not transfer. Just seeing Indigo based fabrics can be so cooling and when paired with the flowy silhouettes of asymmetrical dresses, this is a total winner for this season. The showstopper was the beautiful Pranita Subash. She wore a bright red dress paired with simple sneakers and looked absolutely stunning and super comfortable. Editor's note- What I loved the most about the collection was how wearable it was and how the simple A line kurtas or high low options can function either as a kurta or as a dress. You can wear these pieces to work or even to brunch with the ladies. They are soft, comfortable, super versatile and just what you need this summer. What is your take on the new collection from Craftsvilla?